I am a first-generation college graduate, and I know the struggles and concerns that face students who do not always have someone to help them navigate the waters of higher education. When I came to UF in 2004, my mother, while proud of me knew that she had very limited knowledge of the college process. From applying for Financial Aid, to registering for classes she was lost. what do you plan to do with that degree? program- specialized advising and workshops to promote student success, Exploratory team, Career Connections Center, Tutoring Services, online webinars and workshops for time management, study skills, health and wellness through GatorWell. One resource that also stands out are the administrators, advisors and champions for first-gen. Student Success across campus: Dr. Leslie Pendleton, Richard Blake, Dr. Angeleah Browdy, First- Gen. Advisory Committee, and AIM Advisors in the AAC including Kathy Rex, who has been there for over 18 years! These people have inspired me, and continue to move this community forward at UF! 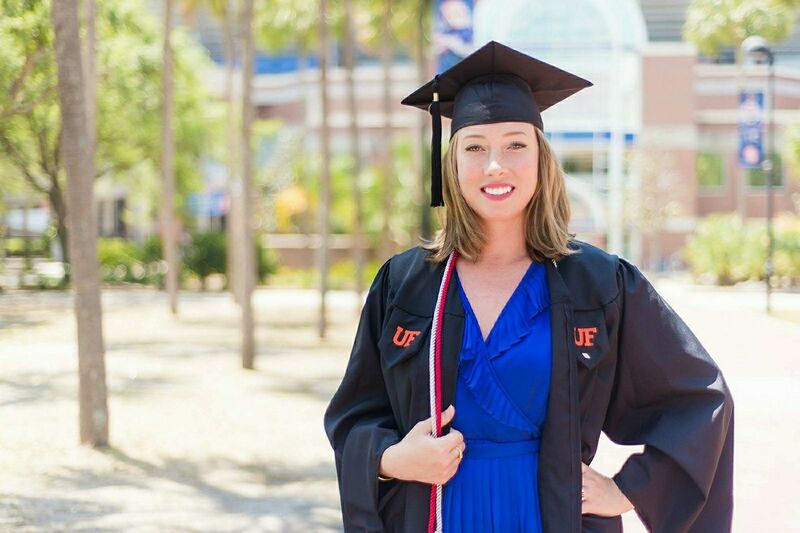 In 2013, I started a job in academic advising for the Innovation Academy at UF. I worked in this role for almost four years, and decided it was time to work on my personal goals. I applied to be a part of the NACADA (National Academic Advising Association), Emerging Leaders Program. I was chosen and awarded to be a part of this special mentoring program in 2017, and I will continue this until I graduate in 2019. In July 2017, I transitioned to a Pre Health and Biology advisor for the College of Liberal Arts and Sciences to allow me to work with all types of undergrad students! My latest and greatest accomplishment of my professional career was being elected as the Chair of the First- Generation Advising Community for NACADA nationwide. ...elected as the Chair of the First- Generation Advising Community for NACADA nationwide. Through this role I am working with a talented steering committee, that we assembled from all over the country and we plan to add to the voice, research and lives of students who are considered first in their family to attend college. At the NACADA Annual Conference in Phoenix, AZ in October 2018, I was accepted to present on my story, “From First- Gen. Student to First-Gen. Higher Ed. Professional.” I plan to utilize this platform to discuss how to best serve First-Gen students on campus around the country.